“Having everything right” is a portable name, an expandable place. It could be what we call Earth. But it will not, unless we sift from our habits the nourishing ways: listening, remembering, telling, weaving a rooted companionship with what I call home. I knew that whatever I chose to write—however I chose to live—I wanted to imbue it with that intention and that urgency. At first I believed—in the way only twenty year-olds can believe—that it would be a linear sort of journey. You search for this place, this way of being, and you find it. Voila! I didn’t understand how much work it would be. I could not have understood even if I’d been told. Over time I learned to do the necessary work—to dig in the dirt, to revise the same sentence, to organize meetings and sit through them—the kind of work you sometimes hate and you do anyway, over and over, until for a moment everything is right. Then it isn’t. For years, then, I thought only about the work, but lately I’ve been thinking, too, about the difference it can make. So many good stories! Sometimes it’s a single person. Like Guy Evans who came home to his family’s orchard in Chelan, Washington to help out, and along the way, started a winery and a CSA and made an award-winning film about sustainable agriculture. Like Lance Romine who removes invasive juniper near Prineville, Oregon and fashions the knotty logs into beautiful homes. More often it’s a group of people come together with a common purpose. One of these is in OSU’s own Spring Creek Project. In each case, in every case, the earnest good intentions, and the astonishing results, humble and inspire me. As do writers. Since my early heady crush on Kim Stafford, I’ve fallen in love with more Northwest writers than I can name, writers whose themes may be different, but whose work brims with the same sense of longing and urgency and faith: Molly Gloss, Robert Michael Pyle, Brian Doyle, Kathleen Alcala, John Daniel, David Oates, Maya Jewell Zeller, Kathleen Dean Moore, David Wagoner, Melissa Hart. Sometimes I think about that slim palm-worn volume of essays on my shelf, a hard-back that flops opens to each of my favorite passages the way an old shoe fits your foot. Maybe the title should have been Making Everything Right. If it was, I wouldn’t have loved it the way I did or learned from it what I did. It wouldn’t have honored what we yearn for, what we believe in, what we work for, and what we sometimes, miraculously, achieve. Ana Maria Spagna is the author of Potluck and Now Go Home (both from OSU Press), as well as Test Ride on the Sunnyland Bus. Visit her blog to read more of her elegant and insightful writings. On Friday, April 13, join Ana Maria Spagna for a reading at the Corvallis-Benton County Public Library. The event is cosponsored by OSU Press, the Friends of the Library, Grass Roots Books & Music, and the Literary Northwest Series. 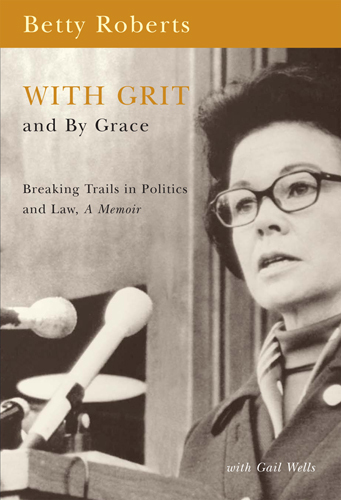 We can’t let March and Women's History Month pass without highlighting some remarkable books that unveil and celebrate women’s experiences in the West. In her 2011 WILLA Award winning memoir, To the Woods, Evelyn Searle Hess describes the challenges and lessons of building a new life in the wild foothills of Oregon’s coast range. An elegant tour of the natural history of place through the seasons, To the Woods is also an exploration of sustainable living and the joys of simplicity. 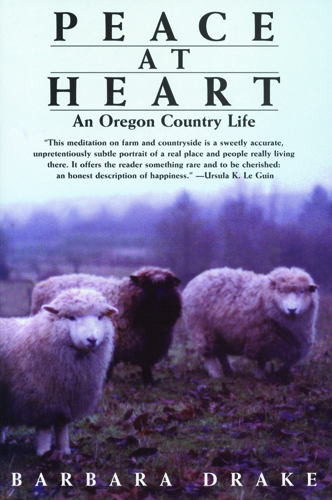 Peace at Heart, an Oregon Book Award finalist, also celebrates the everyday gifts of rural life in Oregon. In it, poet and teacher Barbara Drake reflects on ten years spent birthing lambs, raising geese, and making wine on a farm in Yamhill Valley. 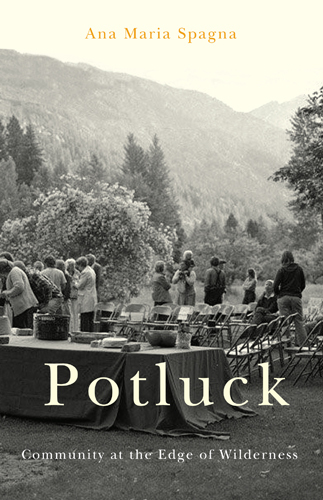 Ana Maria Spagna delves into the nature of community in her newest collection of essays, Potluck. Her earlier collection, Now Go Home, takes the reader on her journey from her childhood home in California to a new chosen home in the Pacific Northwest's North Cascades. 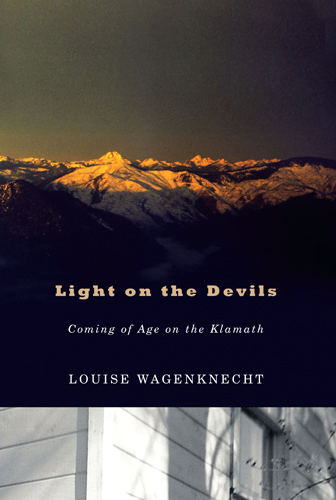 Louise Wagenknecht describes life in a remote logging town as a teenager in the 1960s in her new memoir, Light on the Devils. 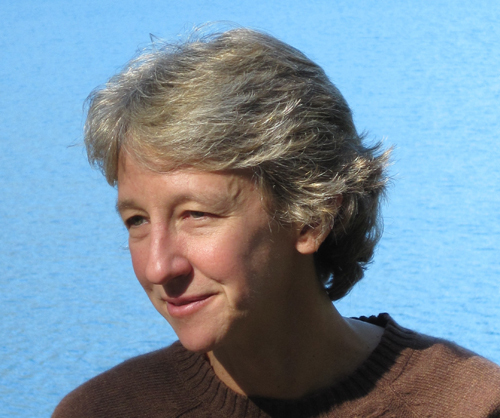 She shares her unique perspective as a longtime Forest Service employee and “takes an unflinching view backward at the complicity of well-meaning government in the excesses of industrial forestry,” notes author Robin Cody. 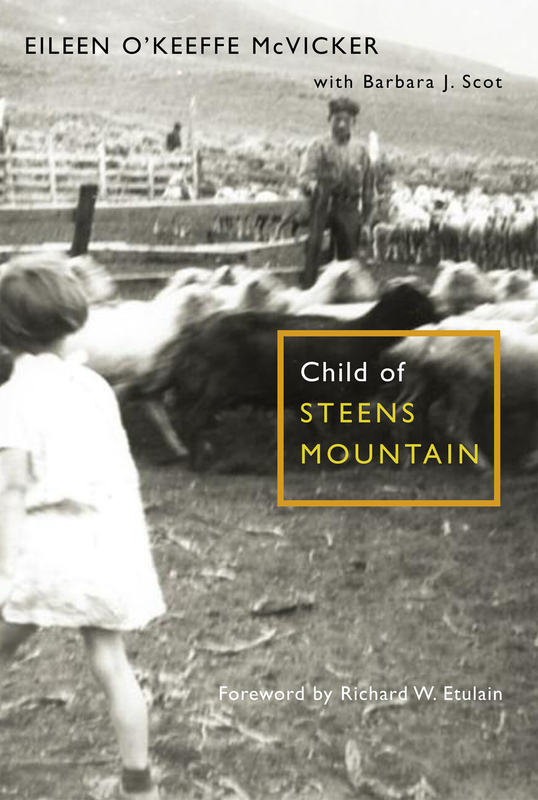 In another childhood memoir, Child of Steens Mountain, Eileen O'Keeffe McVicker paints, with her collaborator Barbara J. Scot, a vivid portrait of her girlhood in eastern Oregon. 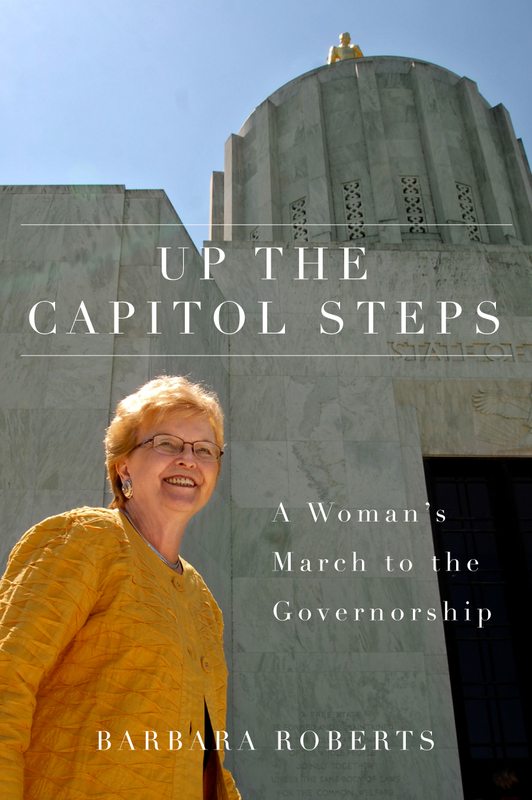 The stories of three prominent Northwest women—Betty Roberts, Avel Louise Gordly, and Barbara Roberts—are preserved thanks to the Women and Politics in the Northwest series, edited by Portland State University's Melody Rose. We invite you to explore our website and discover more Northwest women's voices and stories, from Abigail Scott Duniway to Hazel Hall, from Eva Emery Dye to Beatrice Morrow Cannady. 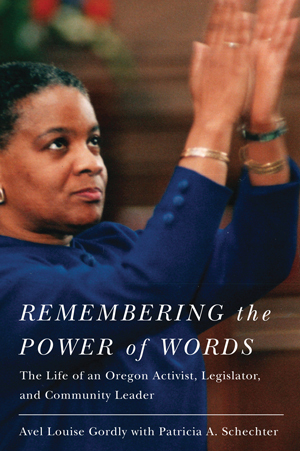 You'll find additional materials about Oregon women online at the Oregon Historical Society. Check out the display and Flickr set at the Oregon Multicultural Archives, which features Erlinda V. Gonzalez-Berry and Deanna Kingston, along with other amazing women from OSU. Snow Day Reads from the OSU Press!